If you have any questions about the GRAND CRU information page below please contact us. Originating from the Burger Boats yard in the United States the GRAND CRU is 33 metre 107 (ft) in length. Launched in 1984 her internal styling reveals the traditional approach of the design work of Angelo Donghia/Lisa Vandenburgh (New). Superyacht GRAND CRU can accommodate up to 7 guests with 5 qualified crew. Her former names or project names are 397c Grand Cru; Bon Vivant. She will attain a maximum speed of 15 knots. 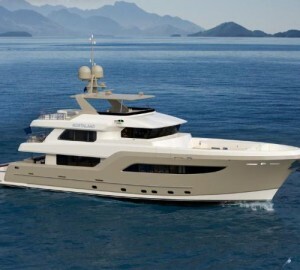 Jack Hargrave was the naval architect firm involved in the formal nautical design work for GRAND CRU. Also the company Jack Hargrave and Burger Design Team successfully worked on this project. Interior designer Angelo Donghia/Lisa Vandenburgh (New) was commissioned for the overall internal styling. Created by Burger Boats this yacht was constructed in the country of the United States. She was officially launched in Manitowoc Wi in 1984 before being transferred to the owner. A reasonable proportion is achieved with a maximum beam (width) of 6.64 m or 21.8 ft. With a 2m (6.6ft) draught (maximum depth) she is fairly shallow. The material aluminium was used in the building of the hull of the motor yacht. Her superstructure above deck is built out of aluminium. In 1995 extra refitting and updating was additionally finished. The 16V 92TAM engine powering the yacht is made by GM. Connected to her GM engine(s) are twin screw propellers. The main engine of the ship gives 1350 horse power (or 993 kilowatts). She is fitted with 2 engines. The combined output for the yacht is thus 2700 HP / 1987 KW. As far as stabalisers are concerned she was built with Naiad. The bow thrusters are Richfield. Having cabins for a limit of 7 yacht guests sleeping aboard, the GRAND CRU accommodates them comfortably. Normally the vessel uses circa 5 able yacht crew to run. Total engine power output 2700 HP /1987 KW. Range in nautical Miles is 2000 at a speed of 10 knots. Ddc 1 times 60 kilowatts; Northern Lights 2 times 50 kilowatts. 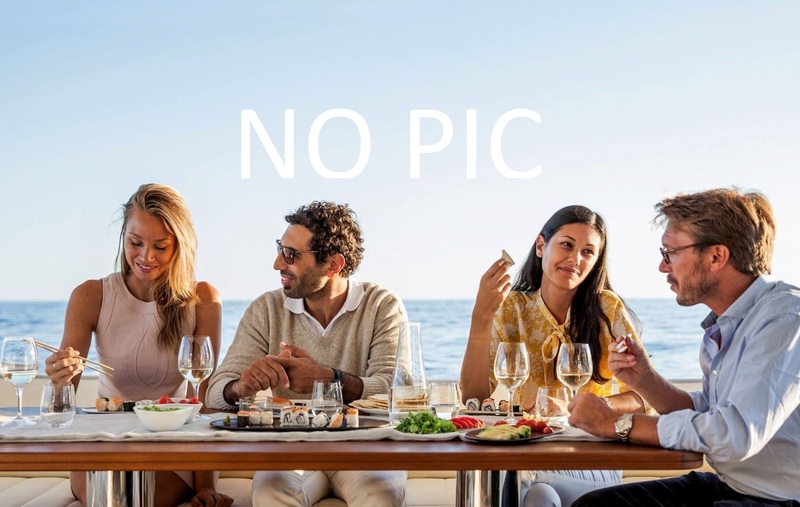 The luxury yacht GRAND CRU displayed on this page is merely informational and she is not necessarily available for yacht charter or for sale, nor is she represented or marketed in anyway by CharterWorld. This web page and the superyacht information contained herein is not contractual. All yacht specifications and informations are displayed in good faith but CharterWorld does not warrant or assume any legal liability or responsibility for the current accuracy, completeness, validity, or usefulness of any superyacht information and/or images displayed. All boat information is subject to change without prior notice and may not be current.